After reporting a profit for the fourth quarter of 2017, Tulsa-based Williams reported this week a $572 million loss in the fourth quarter of 2018. It also reported a loss of $156 million for all of 2018 compared to 2017. The per share loss came to 47 cents for the fourth quarter and 16 cents a share for the full-year 2018. On a per-share basis, the Tulsa company said it had a loss of 47 cents. Earnings, adjusted for non-recurring costs, came to 19 cents per share. Wall Street was left disappointed because the results did not meeting the expectations of analysts who predicted earnings of 22 cents a share for Williams. The loss came after Williams posted revenue of $2.2 billion in the period, which was also lower than the predictions of the Wall Street experts. 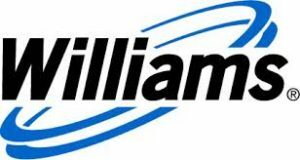 For the year, Williams reported a loss of $155 million or 16 cents a share while revenue was reported as $8.69 billion. Still, shares in Williams Cos. have risen 22 percent since the beginning of 2019 while the Standard and Poor’s 500 index saw a nearly 10 percent increase. Click here to read entire 4Q report.